Breaking into the acting or modeling business is hard enough without dodging slick-talking talent scouts who are more interested in your money than helping you or your child find work. Understanding how the entertainment industry operates is the first step toward finding a legitimate talent agent who may help propel you or your child to stardom. Talent and modeling agencies secure employment for models and actors. Reputable agents work on a commission basis and are paid after they find the client work -- not before. In the Seattle market, the typical payment is about 10-20 percent of the pay. Modeling and acting schools provide instruction but may not help you find work after you take their classes. When considering their programs, ask for the names of models and actors who have recently secured successful work after taking their training then contact those individuals. Casting directors are paid by a producer and usually work on a set-fee basis. Their goal is to find the appropriate actor for a client's needs. Casting directors will frequently contact talent agents to ask for referrals. Talent managers direct an individual’s business affairs and provide advice on career decision. They usually do not have the ability to negotiate hiring contracts, however. A talent scout is employed to discover and find talent. A talent agent chooses whether to represent you. If an agent offers you representation, you will likely be asked to sign a contract. Read it carefully. Depending on the terms, your agent may take a commission even if you find the work yourself. Your contract may or may not allow you to be represented by multiple agencies, so be sure to ask. 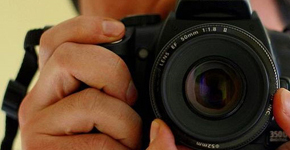 You will need professional photos to break into the acting or modeling business. A good talent agent should be able to recommend a photographer. But the choice of which photographer you hire is up to you. Compare fees and the work quality of several photographers. An actor can expect to pay $100-$300 for a photo shoot to obtain an 8” x 10” headshot, the industry standard. Models will need a comp card with three to five looks and can expect to pay $200-$500 for the sitting. Some agents offer acting and modeling classes, which sometimes can be helpful in developing new skills. Most experts agree that the majority of an agent's time should be spent finding work for his or her client, not selling products and services. Pressure you for money up front. Display pictures of famous models or celebrities on the walls to make you believe they are represented by that agency. If an agency says it has placed models and actors in specific jobs, contact the companies to verify that they've hired models and actors from the agency. Use names which sound similar to well-known agencies. Many actors and models market themselves online and will list the names of their agents. Theatre Puget Sound is an example of a local website where actors post profiles that often include the names of their agents. Reputable talent agents are often associated with professional unions, such as SAG-AFTRA. Check the website of the union’s local chapter for contact information. Contact agents by mail. Include your photo and a resume outlining your acting/modeling experience. Or attend an open call interview or audition.